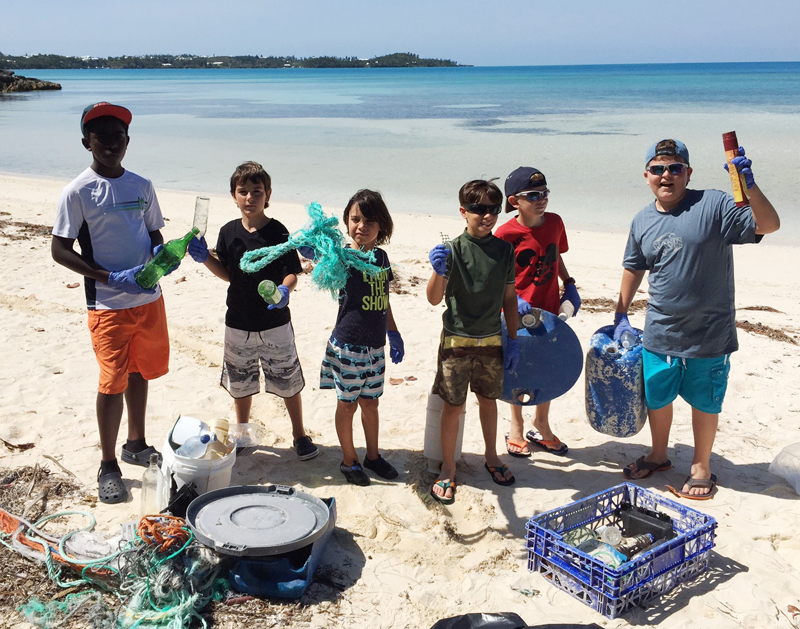 Alongside Keep Bermuda Beautiful [KBB] and Plastic Tides, twenty students from the Bermuda Homeschool Group recently cleaned up the 9 Beaches/Daniels Head Beach Park site in preparation for the inaugural Devil’s Isle Challenge. 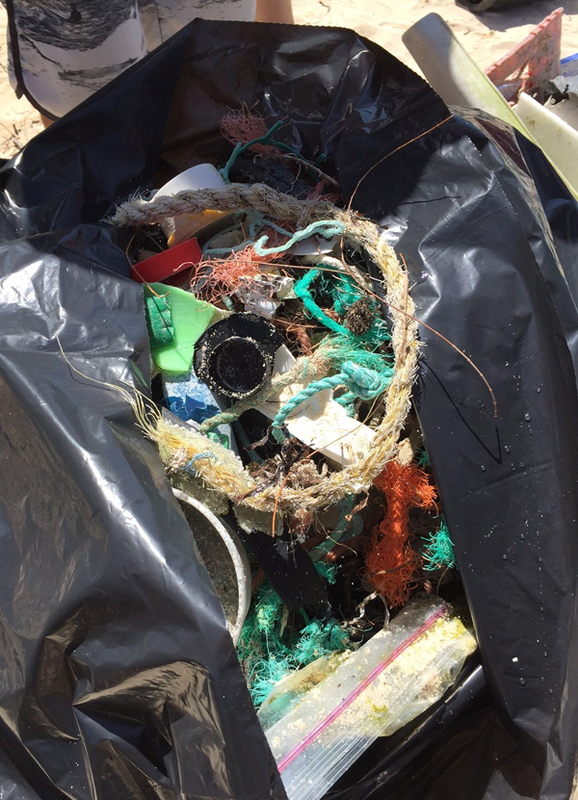 A spokesperson said, “They collected 13 bags of trash and two bags of recycling to be taken away from the site, as well as another two bags of trash that were kept to be used during the event for a trash art workshop lead by Anne Hyde of KBB this Sunday, May 29 from 8.45am until 10.15am. 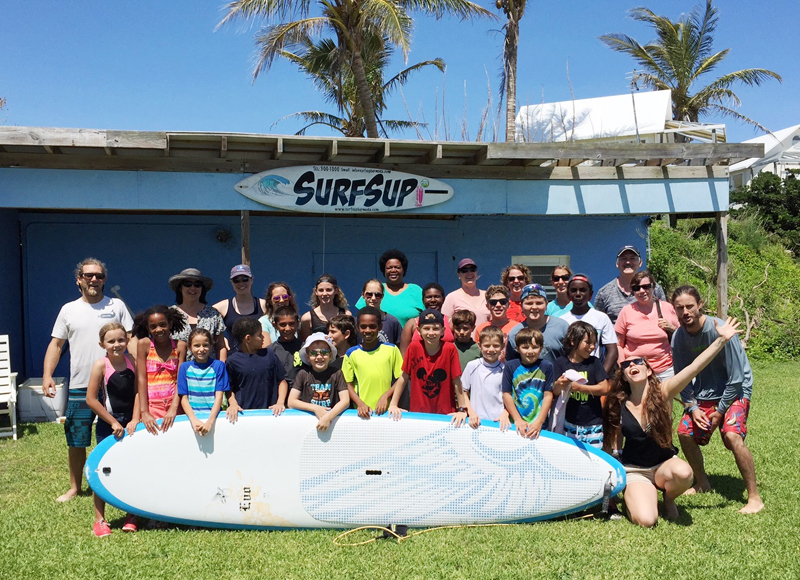 “There will also be t-shirt printing all day long, so attendees are encouraged to bring an old t-shirt along and give it some new life with a plastic tides logo. 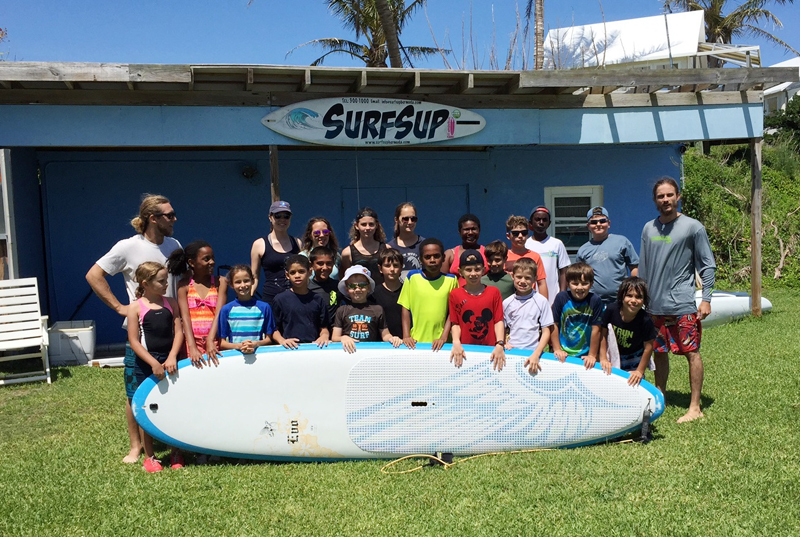 Thanks for sharing Bernews! 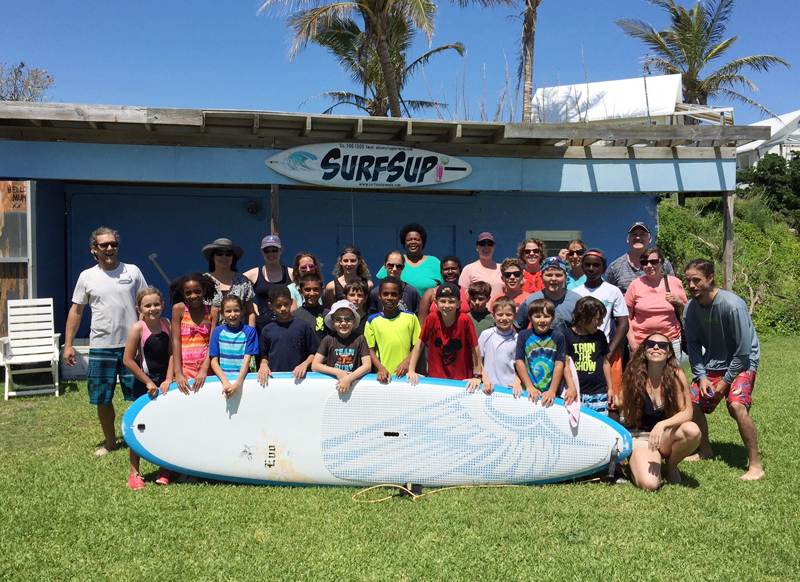 It was great to have the homeschool group out with us to clean up and paddleboard. We’re really looking forward to having a great event on this Sunday from 9 to 5. It’s open to the public so come out and have a good time for a good cause! Also make sure to head to DevilsIsleChallenge.com to follow the paddlers tomorrow as they attempt to fully circumnavigate the island by paddleboard! 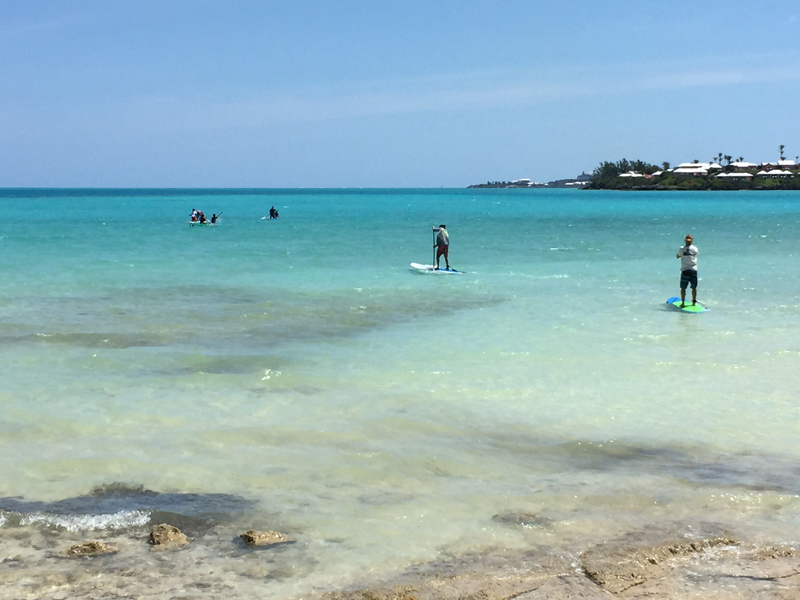 Team Oracle has a relay team paddleboarding and another relay team on surfskis, and Anders Gustafsson of Team Artemis will be taking it on SOLO!